Today H.E. 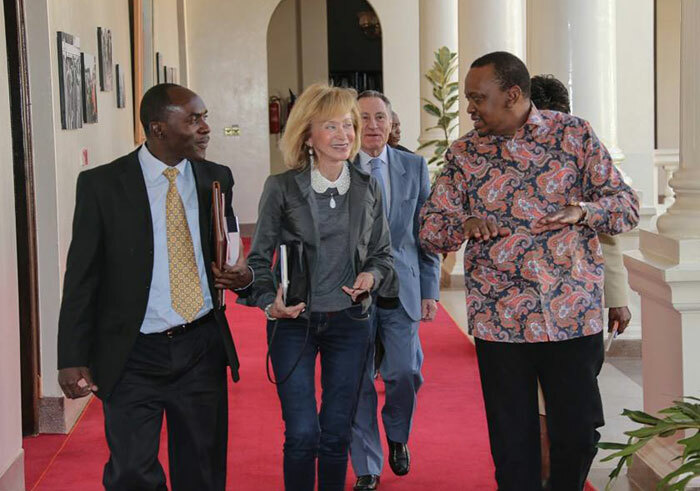 Hon Uhuru Kenyatta held a meeting with Ms Maria Teresa Fernandez de la Vega, former Vice President of Spain and Founding President of Women for Africa foundation when she called on him at State House, Nairobi. They discussed the projects the foundation is implementing in Kenya which include low-cost housing projects.